Members of the Health Advisory Council monitor relevant organizations and websites and compile a list of important news and issues which are summarized here. These newsletters will be posted on our website and archived as a resource. If you wish to join this effort, contact alicerothchild@gmail.com. Please feel free to share the newsletter with your colleagues and communities and encourage them to join the JVP Health Advisory Council. Thanks to all who have contributed! Much was written about the ongoing protests by thousands of Palestinians and the aggressive Israeli military response in Gaza as injuries and casualties mounted, (above and beyond the daily toll that is largely invisible in the press). Palestinian organizers called for peaceful protests which have largely involved sit-ins, concerts, sports games, cultural events and family gatherings. Multiple sources including the Israeli human rights organizations B’Tselem and GISHA, documented the massive amount of injuries, including longterm mental health consequences, and the overwhelmed and poorly resourced hospitals and emergency responders, as well as the extreme trauma to civilians, especially children. Given the baseline conditions such as an unemployment rate of 42%, these consequences will prove difficult to address over time unless there is improvement in access to sanitation, healthcare, nutrition, employment, and freedom of movement. What appears to be a deliberate Israeli strategy for the de-development of health and social services in Gaza has yet to be publicly addressed by the US or other Western governments. In Gaza, sanctions, blockades and a permanent state of war affects everything that humans might require in order to thrive, as water becomes contaminated, air is polluted, soil loses its fertility and livestock succumb to diseases. People in Gaza who may have evaded bombs or sniper fire have no escape from the toxic ecology or biosphere of war. Most of the photography of the recent demonstrations along the Gaza barrier fence have concentrated on the shootings and injuries. This photoblog illustrates the spirit of courage and solidarity of Gazans turning out to reclaim their rights and dignity. This article documents the medical response to the murderous IDF sniper attacks on demonstrators at the Gaza fence. 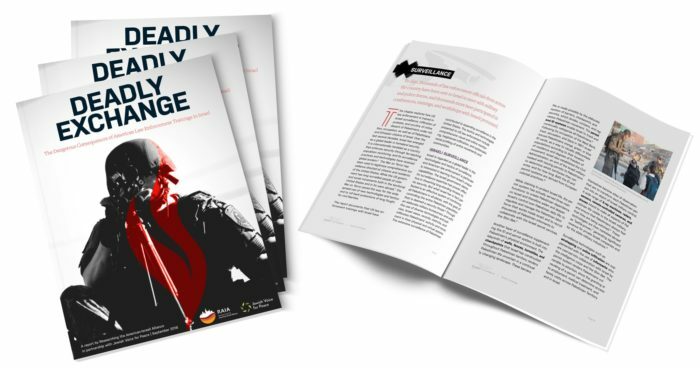 It includes an interview with a Canadian-Palestinian emergency physician, Dr. Tarek Loubani, who was shot in both legs while training paramedics and EMT’s in first aid and rescue techniques at a distance from the demonstrations but in full view of the IDF snipers. The paramedic who rescued Dr. Loubani was himself shot in the chest an hour later and died of his injury because would-be rescuers were kept away by further sniper fire. There were 102 deaths and 12,271 wounded in the criminal live-fire response to the demonstrations. Another video embedded in this article has an interview with MAP’s director of programs who further describes the trauma he witnessed. A Palestinian journalist succumbed overnight from wounds sustained by an Israeli army sniper, while covering the recent “Great March of Return” demonstrations in Gaza. Ahmed Abu Hussein was shot in the side of the abdomen on Friday 4/13, and later died on 4/25 in Tel Hashomer hospital in central Israel, according to Gaza’s Health Ministry. Abu Hussein came under Israeli sniper fire, despite the fact he was at a distance of 350-meters from the border fence. Israel has previously declared its “right to defend the border” from demonstrators that come within 300-meters. The 24-year-old journalist from Jabaliya refugee camp worked as a journalist for the Gaza-based Al Shaab radio station, as well as a photographer for Bisan. According to eye-witnesses, he was wearing a helmet, as well as a protective vest marked “PRESS” at the time of his shooting. The Ramallah-based Palestinian Ministry of Health announced on Monday that it would be sending $3 million worth of medical aid to the Gaza Strip. The move was confirmed by Health Minister Jawad Awwad, who said that a total of 20 trucks worth of medical supplies — valued at $3 million — will be dispatched from warehouses in the northern occupied West Bank city of Nablus, to the besieged Gaza Strip in the next few days. The multi-million-dollar aid announcement is said to have been ordered by President Mahmoud Abbas and Prime Minister Rami Hamdallah. Hospitals in the Gaza Strip have faced severe restrictions on access to medical aid, as well as other vital supplies due to the decade-long Israeli blockade of the strip. Drastic cuts to UNRWA planned by the Trump administration will further jeopardize conditions to the point of radicalizing a new generation of young Palestinians. In a report entitled, “Dreams Deferred: The Impact of the [Gaza] Closure on Women in the Gaza Strip,” the report details the impact of the Gaza closure on unemployment rates, income, and living conditions for women in Gaza. Especially concerning is the dwindling level of access to healthcare, in particular OB-GYN services. A debate in the Lancet highlights the realities in Gaza and the Israeli response. Dr. Meyers of JVP HAC, includes an analysis of the Israeli academics’ talking points. Khamis Elessi of the Faculty of Medicine, Islamic University, Gaza, reviews the events of 30 March 2018, the beginning of the “Great March of Return”. 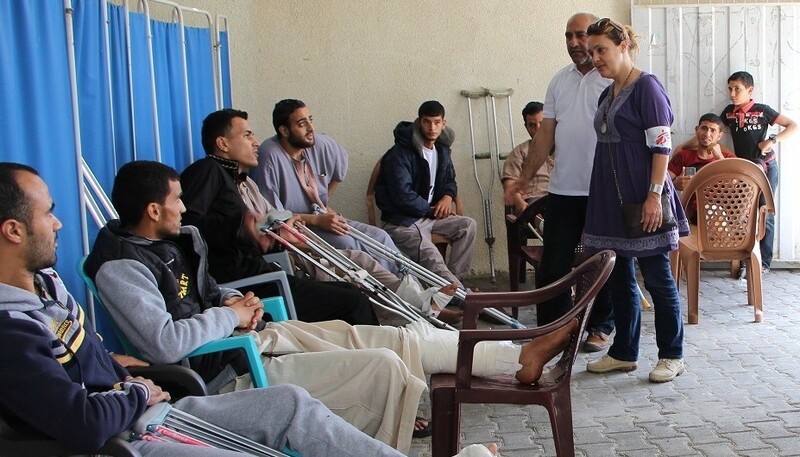 While many more deaths and injuries were to follow, on this day Elessi details the 17 deaths and 1479 injuries suffered by the demonstrators and the difficulties faced by Gaza’s hospitals in the face of shortages of lower limb fixation devices, drugs, anesthetics, antibiotics, and electricity. Invited by The Lancet to respond, Karl Skorecki of Technion-Israel Institute of Technology and A. Mark Clarfield of Ben-Gurion University of the Negev, challenge Elessi’s account: “in such a chaotic and politicized situation, obtaining verifiable information…present[s] serious challenges”, thus dismissing Elessi’s reported evidence, gathered from WHO’s Gaza office, the UN Office for the Coordination of Humanitarian Affairs, the Palestinian Center for Human Rights, the Palestinian Ministry of Health, and the Gaza hospitals that received the dead and treated the wounded. They cite the militant language of the Hamas charter, which “den[ies] the right of Israel to exist” but ignore Hamas’ offers for a long-term cease-fire in exchange for an end to the blockade of Gaza. And they state that “although one can speculate that less violent counter measures on Israel’s part might have prevented a breach in the border, we do not have the technical expertise to judge such matters” – this referring to a situation in which snipers at hundreds of yards distant from unarmed demonstrators fired on them with live ammunition, as opposed to e.g. water hoses, tear gas, “skunk water”, or other nonlethal means of crowd control. They refer to “Hamas’ deliberate intermingling of women and children with armed combatants”, but cite no evidence. They question the value of Elessi’s detailing of the deaths and injuries (“Lobbing statistics as if they were missiles does no one any good”). They ask “what then is to be done?” and cite Izzeldin Abuelaish’s call for mutual understanding… in effect, perpetuating the notion of equivalence – that these are two equally-matched opposing sides, rather than the reality: the world’s 16th (of 136) most powerful military facing off against an unarmed civilian population; in fact, no Israelis were injured in this confrontation. Judge Amir Salameh, of Haifa Magistrate’s Court, has ordered the release of all protesters arrested in Haifa during a demonstration against the Israeli violence against Gazans and the occupation. The order comes after allegations of police brutality against demonstrators and the announcement of a probe into the claims by the Israeli Justice Ministry’s Police Investigation Department. Omar Shakir, the Israel and Palestine Director of Human Rights Watch (HRW) was ordered to leave Israel because of his previous history as an advocate of Boycott, Divestment, and Sanctions (BDS). Although HRW does not take a position on BDS, they have found that “businesses that operate in the settlements benefit and contribute to serious violations of international law” and HRW has urged businesses to stop operating in the settlements. The threatened deportation of Shakir demonstrates “Israel’s growing intolerance to those who criticize its rights record”. HRW challenged Israel’s forced deportation order against Omar Shakir. arguing that it represents an attack on the organization and its human rights work. The Jerusalem District Court issued an injunction on May 23rd, temporarily halting the deportation order. Israeli leadership has shown an increasing intolerance of nonviolent protests anywhere in the occupied territories, echoing Maj. General Amos Gilad’s famous comment, “We don’t do Gandhi very well.” In April, Israeli security forces arrested Ayed Morrar, one of the symbols of the Palestinian popular struggle, along with his son, Ahmed, in an overnight raid on the West Bank village of Budrus. Ahed Tamimi has been described as the “Rosa Parks of Palestine” by Amnesty International and Al-Jazeera.17-year-old Ahed has become an icon of popular resistance and the new face of a young, defiant Palestinian generation, while her imprisonment raises serious human rights concerns about the treatment of Palestinian children in Israeli military prisons. Freedom of movement is a fundamental right which is routinely denied by the occupation. Access to healthcare is accordingly frustrated by this policy. Here is a mind-numbing list of checkpoints and forbidden roads in the West Bank, originally published in 2011 and updated in February 2018. Here is an illustrative map showing areas off-limits to Palestinians in the Jordan Valley. A report entitled “Health in Exile: Barriers to Health and Dignity of Palestinian Refugees in Lebanon” describes the dire circumstances and precarious nature of health care in refugee camps in Lebanon. As an example of the prevailing conditions, the report notes that while the average medical consultation in the UK is 10 minutes (already considered to be too short), in UNRWA clinics it lasts a mere two minutes and 45 seconds. The average doctor sees an astonishing 103 patients per day. In the spring of 2015, Canary Mission appeared with anonymous online attacks against individuals. It is a secretive political organization that uses its website to engage in defamatory attacks against college students who advocate for Palestinian rights and against organizations and faculty engaged with this issue. The Canary Mission’s goal is to target undergraduate and graduate students and untenured and contract faculty in order to harass them and to threaten their employment prospects. This is a threat to academic freedom and free speech rights reminiscent of the “Red Scare,” using bogus definitions of anti-Semitism and terrorism. The servers seem to be located in Israel. The International Association of Relational Psychotherapists and Psychoanalysts has attempted to squelch the NYC meeting on mental health in Palestine that is planned during the June annual meetings according to a press release by USA Palestine Mental Health Network.